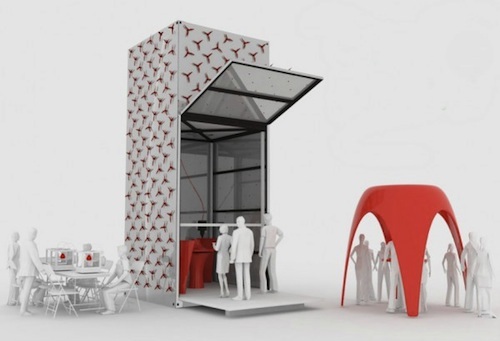 We’ve written recently about how 3D printers could conceivably build houses quickly, less expensively, and more sustainably than traditional construction methods. 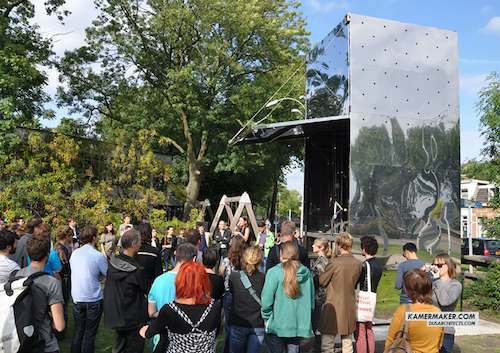 Now this large, portable 3D printer, the KamerMaker, has been launched by Dutch architecture company DUS. The KamerMaker can print objects as big a 7.2 feet (2.2 meters) by 7.2 feet by 11.4 feet (3.47 meters). This is big enough to print large furniture and even small rooms. At present the KamerMaker only prints objects made from a certain kind of bioplastic, PLA, which is derived from corn. It’s debatable whether this would be very sustainable in the longer run, for multiple printers printing a large number of objects, as using a food crop such as corn to make biodiesel is already becoming problematic. 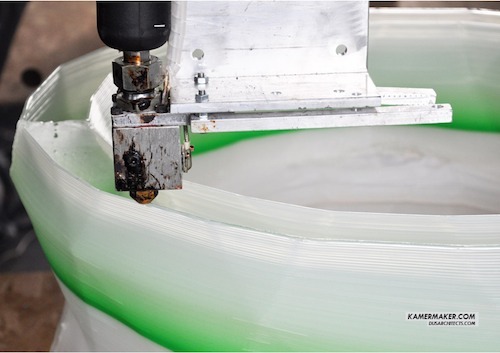 Despite this, PLA is biodegradable, and the overall technology certainly holds a lot of potential. As this printer is portable, it is envisaged that it could be called on to print out on-site objects for architecture projects and various events, as well as temporary and emergency shelters as needed. 3D printers like this could allow designers to move from 3D designs to actual objects very quickly, and all on-site, nearly as easily as creating 2D designs and printing them out. Previous post: Cities Could Triple In Size By 2030 – Is Urbanization A Good Thing?